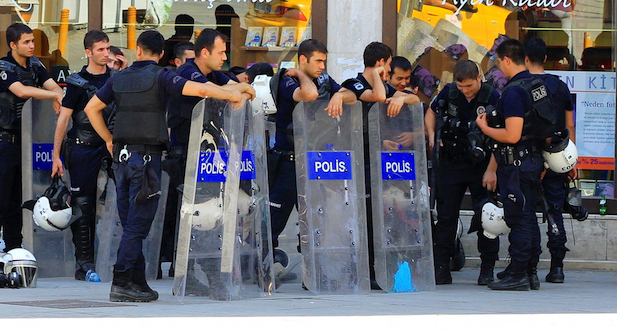 Demonstrators have been out on the streets of Istanbul and Ankara yet again, keeping Turkey's riot police busy. The cause this time was the draconian curbs the government wants to impose on the Internet. These will enable the authorities, without a court order, to block websites they deem offensive. Business leaders, including employers' federation TÜSİAD and leading NGOs like Freedom House, are calling on President Abdullah Gül not to sign the new law, which many say reflects the increasingly authoritarian mindset of Prime Minister Recep Tayyip Erdoğan. Indeed, the Economic Policy Research Foundation of Turkey says only China now leads Turkey in efforts to censor the Internet. For investors all this reinforces the alarming way confidence seems to have drained from the economy almost as fast as support and authority have slipped from Erdoğan. On January 28, after months of resisting pressure to boost interest rates to shore up the faltering lira—battered by the emerging markets confidence crisis and Turkey's own highly publicized problems—Turkey's central bank did an abrupt about turn. And how: It more than doubled the benchmark one-week repurchase rate from 4.5% to 10% and increased the overnight lending rate from 7.75% to 12%. The good news is that the rise reaffirmed faith in central bank governor Erdem Başçı, who essentially stood up to Erdoğan: The latter has long been opposed to any rate rise. The big question is whether it has checked the slump in the lira, which over the past nine months has lost around one third of its value against the dollar and is close to record lows against it and the euro. Turkish companies have foreign currency debts worth about $130 billion and many individuals have also taken out foreign loans. The more the lira depreciates the more all this will cost to service and repay. Some are trying to put an optimistic spin on things. The "higher and more adequate level [of interest rates] will make Turkish financial markets more attractive, as they are the reward for private and institutional investors. Secondly, they will stimulate the quest for efficiency. The combination of these two effects is enhanced growth," writes Angelo Santagostino of Ankara's Yıldırım Beyazıt University . Most don't see it this way though. On February 7, Standard & Poor's, which is predicting Turkish GDP growth of about 2% for 2014, downgraded its outlook from stable to negative saying the policy environment has become less stable and the risk of a hard landing has risen. A downgrade may follow. Certainly, inflation—a historic bugbear for Turkey that many thought had been beaten—will rise in the wake of the lira's fall. Question marks will also grow about its impact on the current-account deficit, currently around 7% of GDP, or $57 billion. Underlying all this is the rather big question of whether foreigners will continue lending to Turkey. If they don't, it's headed for serious trouble. Some feel that's inevitable. "In the absence of an improvement in financial market conditions or a rebound in export growth, it's difficult to escape the conclusion that Turkey is at serious risk of falling into recession," says William Jackson, an emerging markets analyst at Capital Economics, a London-based consulting firm. One thing's for sure: A draconian new law that sparks yet more protests and raises further disturbing questions about which way the country is headed is hardly going to do wonders for investor confidence.